Huaraz, Peru - Urb. Avitentel Mz. "d" Lt. "1"
Amazing place with beautiful overview of the mountains at a place were your hosts will do everyting to make your stay the best you´ve had. Als rooms have breakfast included and this is not just jam and butter (come and find out!). 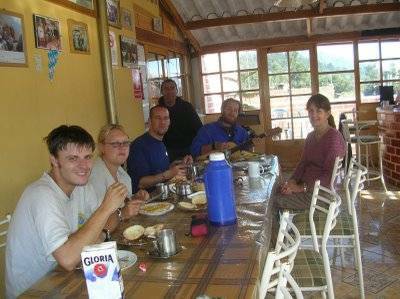 We help you to make a mountaintrip and have kitchenfacilities to use. 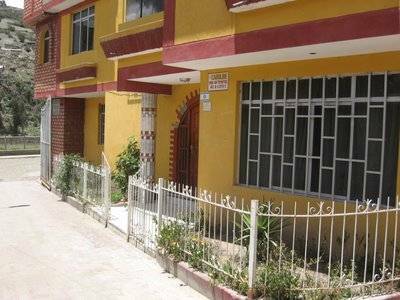 Our hostel is quiet and you don´t have the noise from the city during the night. 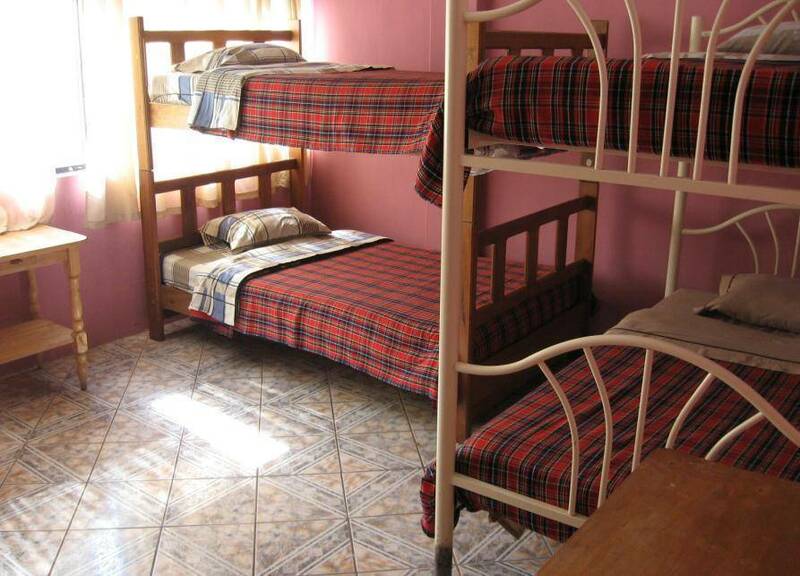 Dorm beds start @ $ 4 dollar incl pickup from busstation or the hostel you didnot like and this price is incl. breakfast. Mountaintours information, guids and cheap prices for renting a bike. Caroline Lodging: The sign above the door says 'welcome to our home' and nothing could be more true. These are fantastically hospitable people, running a bargain basement. Slightly chaotic, but super-friendly hostel. Includes breakfast (not just bread and jam, sometimes pancakes, fruit salad, etc. ), all the local info you wish, equipment hire (cheap) and a welcoming family atmosphere. Hostel is a few minutes walk outside town, but worth it. 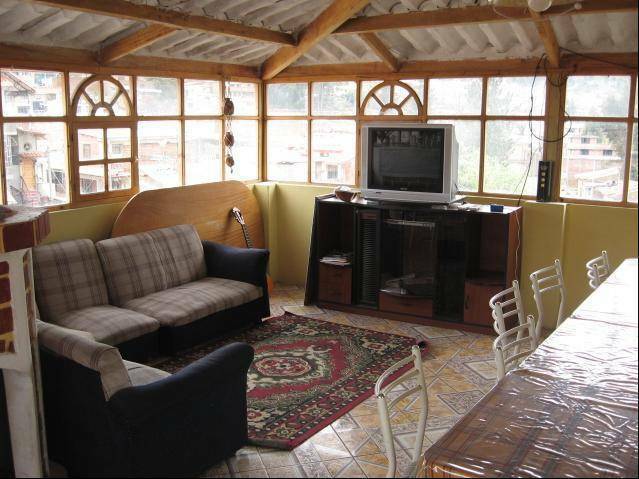 Also has TV with DVD's and terrace in awesome views of mountains, lifts to the bus station, what more can I say to recommend it!. 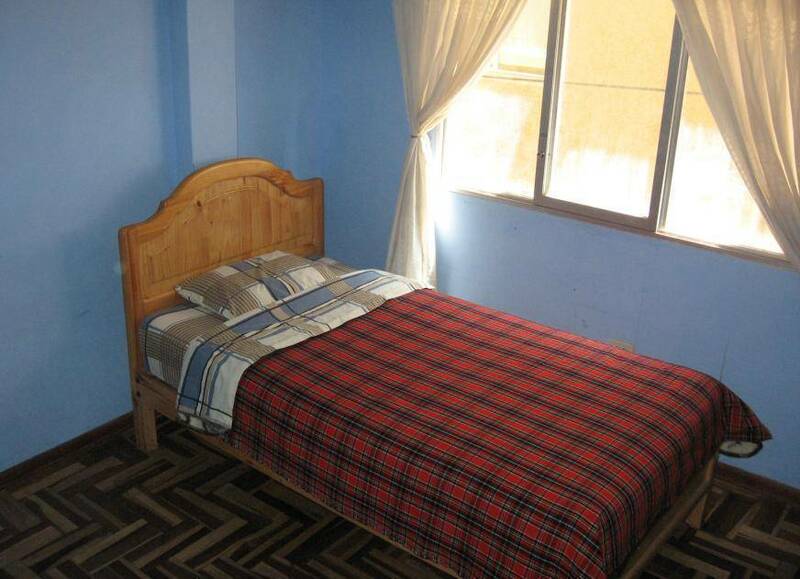 We have special double rooms with private bathroom. Ask for it! Urb. Avitentel Mz. "d" Lt. "1"
To get to us: just send a email of make a telephonecall. We will pick you up at the busstation.